The Teplo Tie is BBA approved and are the most thermally efficient wall ties available in the UK. 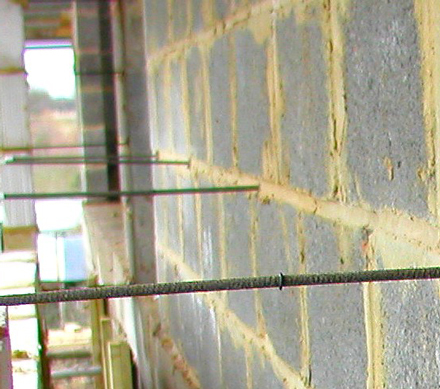 Teplo ties improve the thermal insulation of walls by removing the thermal bridges created by Steel wall ties. The tie helps Clients, Architects and Contractors to improve the energy efficiency of their building and thus to reduce the CO2 emissions of the building through a significant improvement in the U value of masonry walls. The ties are excellent for use in traditional cavity sizes of 50mm-100mm, but the U value is even more significant in wide 150+mm cavaties. The sand finish provides an excellent mortar key. Each tie is supplied with an end cap to reduce the risk of injury on site and these Teplo Ties are available in packs of ten. In addition to the Teplo Wall Ties, Twistfix offer a full range of wall ties at trade prices for customers who want to replace their wall ties at a reasonable price when tying brick masonry or timber cavity walls. For more information about which wall ties will be most suitable for you then please contact us on 0845 1236007 or email sales@twistfix.co.uk.